Armorshine Floors is a complete service center for wood flooring. From design to preservation there is no better friend to your floor. Need help with a floor? Need a new floor? Armorshine Floors will help you. 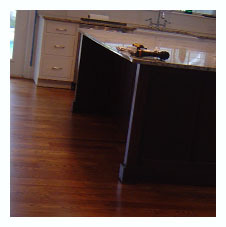 Armorshine will gladly visit your home or business to assess flooring needs. Measurements may be taken on-site for fast, accurate pricing. Armorshine will remove and dispose of existing floors, whether damaged by water or termites, stained by pets, or to upgrade from tile or carpet. Our teams are experienced, careful and fast. Familiar with numerous types of commercial and residential flooring, our swift, experienced installers will complete even the most complicated designs. Choose from prepared plans, or provide your own. Turn your dreams into something you can stand on! Armorshine will assess the wear and condition of your existing floor, and determine the best method to restore its beauty. Of course, our installations are finished to perfection, protecting the wood for many years. Let the natural beauty of your wood floor shine! Construction, trauma and age can produce damaged areas in a floor. Armorshine will remove and replace damaged wood, extend flooring to new areas, or install flooring where a wall was removed. Make the whole floor look new! These options may be used to accent any existing wood floor or new installation with a distinct, personal touch. Visit our Showroom for ideas. Every wood floor is naturally unique … give yours personality! If your floors are in good shape, and have never had wax or oil applied, then buffing will remove surface dirt and scratches. Application of a fresh coat of polyurethane will preserve the natural beauty of a wood floor for years to come. Keep it beautiful with Armorshine!